The Shia Houthi rebel group fighting the Saudi-led coalition in Yemen said Friday it will unite with the Lebanese Shia armed and political group, Hezbollah, and Palestinians should Israel enter into conflict with the two. Abdul Malik al-Houthi, leader of the Iran-backed rebels told Lebanese local Al-Akhbar that the Houthis will fight on the side of Hezbollah or Palestinians by principles. 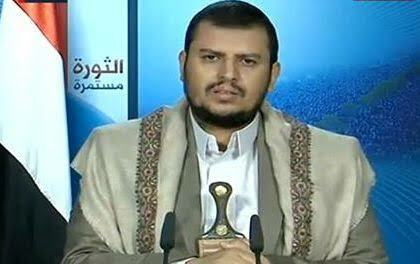 Abdul Malik Al-Houthi and his group have declared Israel as enemy. “We will not be reluctant to send fighters in a new war. Many of Yemen’s tribesmen are ambitious to fight against Israel, and they are looking for the day to participate along with the freemen of the Islamic nation against the Israeli enemy,” he was quoted as saying. The rebel leader claimed that they have discovered Israeli military activities in the Red Sea and Mandeb Strait. Israel, according to the rebel top official, participated alongside UAE officers in planning some military activities in Yemen. Saudi Arabia and its allies entered Yemen in 2015 in a move to end the advance of the rebels who flashed out the international recognized President Mansour Hadi and his government from capital Sanaa. The rebels have conquered vast swathes of the Yemeni territory from where they have launched several missiles targeting Saudi Arabia. The rebel group said it informed Hassan Nasrallah, Hezbollah leader, of their readiness to fight with his forces. Written by: KanelkaTagba on March 24, 2018. Posted by KanelkaTagba on Mar 24 2018. Filed under Gulf News, Headlines, World News. You can follow any responses to this entry through the RSS 2.0. Both comments and pings are currently closed.